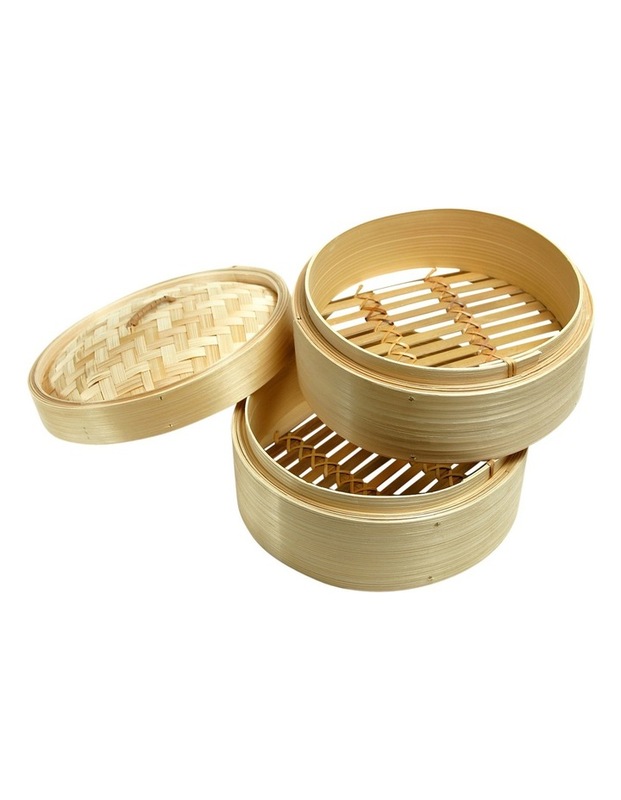 The Ken Hom bamboo steamer has two baskets and a lid and it can be used in conjunction with any wok. Use parchement or grease proof paper to stop food from sticking. This beautiful tool for traditional steaming also gives a unique way to serve food.